In April, the Canadian government proposed legislation that establishes new “legal limit” drug offenses. According to these guidelines, a tetrahydrocannabinol (or THC, the chief psychoactive compound in cannabis) level that falls between 2 and 5 within two hours of driving would warrant a lower-level offense, punishable by a fine. A THC reading of 5 or more within two hours of driving would qualify as a “hybrid offense,” which could be prosecuted by indictment. According to Louise Yako, president of the British Columbia Trucking Association, any level of intoxication is too high for truck drivers, especially because there is no scientifically established safe level of impairment for marijuana use. The Canadian Human Rights Commission defines a safety-sensitive job as “one in which incapacity due to drug or alcohol impairment could result in direct and significant risk of injury to the employee, others or the environment.” Driving a truck is considered a safety-sensitive job. Although Canada’s federal government is updating its criminal code with these proposed regulations, it is the provincial jurisdictions that ensure enforcement, Yako said. These split jurisdictions mean that trucks moving across the Canadian border and into the United States are regulated by the Ministry of Labor, while trucks operating within a certain province are regulated by that provincial entity. British Columbia Trucking is asking for provinces to match federal rules, which Yako stated has not always happened in Canada. For example, when the federal government revised hours-of-service rules, most provinces immediately followed suit, but a few did not. In Ontario, the administrative penalties for those who engage in [impaired driving] are already among the most stringent in the country. Bob Nichols, spokesman for the Ontario Ministry of Transportation, said the agency plans to introduce legislation later this fall petitioning for a zero-tolerance approach for commercial drivers. This legislation would come on the heels of penalties the agency introduced last year as part of the Making Ontario’s Roads Safer Act, which lengthened driver license suspensions. 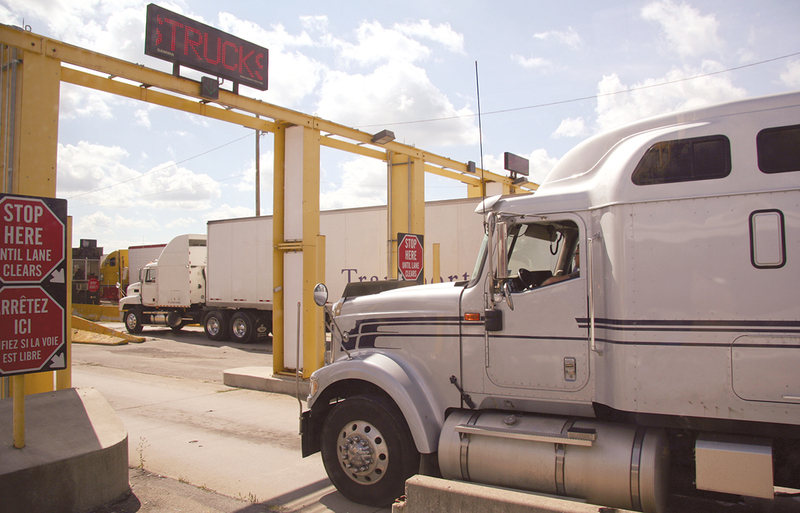 Trucking associations are also calling for the establishment of a random drug testing program. Yako explained that random testing is determined by a third-party administrator who uses mathematical permutations to identify when someone should be tested. The United States has a mandatory drug testing program for drivers, but Canada does not. However, random drug testing is allowed in some circumstances, according to Employment and Social Development Canada, the federal agency responsible for developing, managing and delivering social programs. “Random testing may be permissible in cases where the employer is able to demonstrate a risk that outweighs employees’ rights, such as evidence of a general problem with substance use in the workplace, where there is minimal supervision of employees in safety-sensitive positions, and where the employer is able to meet its duty to accommodate employees who test positive,” said the group’s spokesman Josh Bueckert. In a recent interview with the Canadian Broadcasting Corp., Ontario Trucking Association President Stephen Laskowski called for both a zero-tolerance policy and drug-testing programs. “What we’re saying now, especially with this marijuana legislation, is we need the governments to stand up and say we will stand beside employers and allow safety-sensitive positions, like truck driving, drug and alcohol testing programs to be legal in Canada,” Laskowski said.